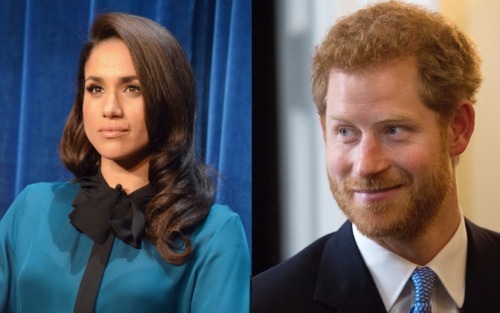 Prince Harry announced that he is engaged to American actress Meghan Markle. Markle is best known for her role as Rachel Zane in the show Suits. She has also worked with the United Nations Entity for Gender Equality and the Empowerment of Women as an advocate. Harry has been a long-time advocate of LGBT equality and HIV testing. Last year on World AIDS Day, he and pop star Rihanna got tested together. He has also visited HIV clinics, accepted an award on behalf of his mother Princess Diana from gay UK magazine Attitude, gotten tested on Facebook Live. Harry and Markle have been dating for some time, but the first public acknowledgement of their relationship happened earlier this month when the royal family’s communications secretary released a statement denouncing the racist and sexist attacks on Markle, who is biracial, in the media. One story they were responding to was a Daily Mail piece entitled “Harry’s Girl is (Almost) Straight Outta Compton,” a reference to an album by the rap group N.W.A. The video being described is a scene from Suits where she takes off her T-shirt. Markle’s mother is African American and her father is white. She wrote an essay last year for Elle UK about the racism she faced growing up in Los Angeles, like hearing her mother get called the n-word. She also wrote about being “ethnically ambiguous” in a culture obsessed with assigning a stable racial designation to every person. When she was in 7th grade, she didn’t know what box to check for her race on a form. According to The Guardian, Markle will likely become a duchess when she marries Harry.